1. Do I need a gift card program? 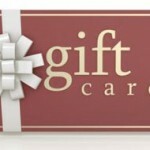 – There was an estimated $118 billion spent on gift cards last year, a 7.9 percent jump from the year previous. By 2015, gift cards are estimated to account for 18 percent of holiday spending. Just over half of all gift card redemptions require a second visit to redeem the entire card amount, and an additional 20 percent is spent beyond the value of the card, on average. Not only are gift cards growing in popularity, but they also provide an excellent boost to your brand in the form of viral marketing. Yes, you do need a gift card program. 2. Should I print the magnetic stripe on the back of my card using HiCo or LoCo technology? – The “Hi” and “Lo” in HiCo and LoCo stand for high coercivity and low coercivity. While the magnetic stripe on high coercivity cards are less likely to wear out or be erased by incidental magnetic field exposure, LoCo technology is generally considered to be sufficient for gift card applications, and is less costly. 3. Can I save money by printing on a thinner card material? – While thinner card stocks are more economical, keep in mind that a swipeable card is exposed to more torsional stress. A standard-weight 30mil card thickness is recommended. 4. How does a card’s finish affect it’s appearance? – Finish can make or break overall card appearance and perceived value. If your card finish doesn’t match your design, the two will not work together to communicate your vision. 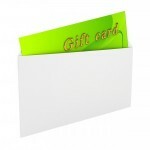 Fortunately, there are a variety of card finishes to choose from, including: frosted, matte, UV coat and more. 6. What can I do to prevent forgery? – There are a variety tools you can use to help prevent gift card forgery, including holograms, scratch offs, and UV light ink. 7. Are the cards provided by my POS vendor the only ones that will work with my POS system? 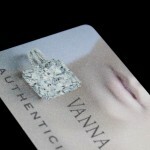 – Cards printed by third-party vendors are designed to work with your POS system. However, it is important to understand what encoding options are relevant to your setup. A reputable plastic card printer can assist you in determining your needs. For additional information, or to help you choose the best options for your gift card program, we’re here to help.